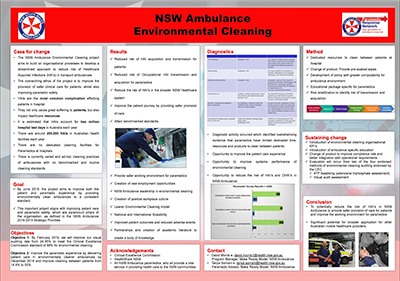 To reduce the risk of healthcare associated infections in NSW Ambulance. This will provide safer care for patients and improve the working environment for paramedics. To ensure 75 per cent of PD patients at Coffs Clinical Network are identified within four hours of admission, receive medications on time and have a carer who is satisfied with the patient’s medication management. Central Coast Local Health District established regular meetings with the NSW Department of Family and Community Services and all health services involved in the care of pregnant women, in cases where there were child protection concerns. Staff at Blue Mountains District ANZAC Memorial Hospital implemented a standardised phone screening tool with fasting instructions, to prepare patients for their surgical procedure. RPA Hospital implemented an education, audit and training package for staff in its Newborn Care Unit, to reduce infections related to central line use in vulnerable newborns. 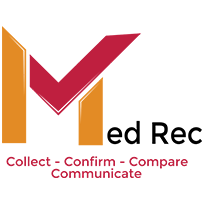 Murrumbidgee Local Health District developed a process to ensure all patients have a best possible medication history recorded on admission to hospital. It Takes Two was designed to educate nursing staff and managers on NSW Health and local policies regarding medication handling, with the aim of improving patient safety in the emergency department. This project reduced the number of patients who absconded (ran away) from the Coffs Harbour Mental Health Inpatient Unit, by implementing an environmental review, courtyard supervision, flexible visiting hours, multidisciplinary team reviews, leave prescriptions and capital works. This project identified a number of strategies to reduce pathology costs and clinical variation in the testing process, including enhancements to the patient’s electronic medical record, development of best practice guidelines, staff education and improved reporting mechanisms. This project delivered an education program for staff and implemented a new process of cleaning the ventilation vents in delivery suite bathrooms, to reduce the risk of falls. This project improved education and workflow processes around medication administration, to reduce instances where patients either don’t receive their medication or don’t have a documented reason as to why their medication was not administered. This project standardised the recruitment process and conducted training for nurses and midwives in SNSWLHD to help them understand their professional obligations and maintain the skills required to safely undertake their role in the organisation. By introducing the routine use of rapid nucleic acid amplification tests, the median time for results of accurate laboratory tests for influenza and respiratory syncytial virus infections reduced from more than three days to less than 12 hours. This has the potential to significantly enhance infection prevention and control, inpatient bed management, appropriate antiviral prescribing and antimicrobial stewardship initiatives. Liverpool Hospital implemented an education program for emergency department staff, to ensure venous thromboembolism prophylaxis is prescribed to all appropriate patients on admission. This project implemented a more effective method for cleaning dentures in hospital and delivered education session to staff and patients on the link between oral health and systemic infection. The renal unit at ISLHD developed a structured home visit program and implemented changes to the staff orientation program, as well as training for patients and staff. This project developed guidelines and resources to improve occupational therapist staff compliance with departmental protocols in place at Blacktown Mount Druitt Hospital. The APPLE project developed a new process to obtain and store Alternating Pressure Air Mattresses at Orange Health Service. Patients identified at ‘high risk’, those who have an existing pressure injury and/or those who are clinically indicated, are provided with pressure relieving equipment in a timely manner. This project installed a patient safety board and innovation board to engage staff in the process and allow patients and visitors to see how clinical practice impacts on safety and quality. The project implemented measures to deal with nosocomial infections, including increased swabbing, improved cleaning services, cleaning surveillance tools, personal hygiene packs and patient questionnaires. Approximately 50 CVADs are inserted per month by CVAD Procedural Clinical Nurse Consultants (CNC) at SVH. By implementing small-scale changes within the hospital, SVH has been able to reduce the usual incident rate for CVAD patient bookings from one in five at the beginning of 2014, to one in 20 by the end of the year. To reduce blood culture contamination rates at Campbelltown Hospital, a blood culture kit was introduced to the adult departments. The project foundation is built on getting it right the first time and reducing unwarranted clinical variation by implementing one standardised kit with one set of instructions. This has embedded better practice focusing on aseptic technique. A mobile phone viewable website allows clinicians ready access to assist in the safe, appropriate and timely prescribing of antimicrobials, thus decreasing the risk of healthcare associated bloodstream infections.